Easy as these enquiries are for your teams to resolve, they still take more time than they need to. Your customer has 5 minutes during their lunch break to call you to change their address details. They spend the first 3 minutes waiting in the queue, listening to repeated “Your call is important to us” messages. The call is finally connected, but they spend another 30-60 seconds having to verify with your team member that they are who they say they are. Then they explain the reason for their call and the team member repeats it back to them while they bring up the necessary programs on their computer. Another minute goes by. If your CRM system isn’t integrated with your Contact Centre system, your team member will need to ask them to hold while they try to find the customer’s account details in another window. This could take another minute or two. Your team member updates the record and repeats it all back to ensure it’s correct. Finally the changes are done, and by now the customer’s patience has worn thin. The simplest request has taken so long that they have no confidence in your ability to do what they asked, so they request confirmation that it has been done correctly. So after the call has ended, your team member needs to spend another minute or two copying and pasting the details from the CRM system into an email, before wrapping up. It’s easy for time to blow out, turning a 2-minute routine task into 10 minutes of frustration for the time-poor customer, and a not-too-pleasant experience for your team member. Here’s how the above scenario could be revised using Premier Contact Point for Mobility, and potentially save 8 minutes. How efficient is that? A 10-minute, laborious call turned into 2 minutes of customer self-service. Easy. 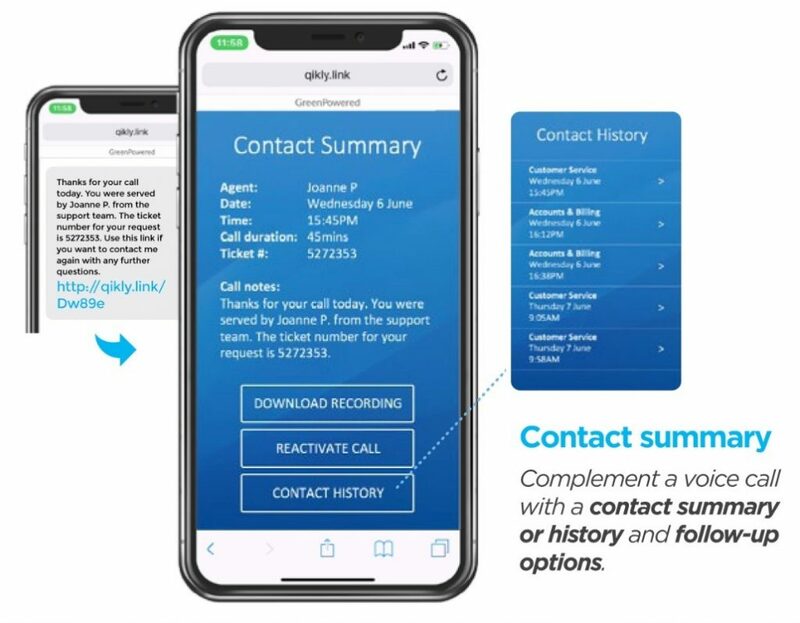 If the caller chooses the option to speak to a live agent, your team member has all the updated information in front of them when the call connects, can greet the customer by name, and doesn’t need to put them through the verification process. If they need to do more – like pay a bill – your team member can send a text with a link to a secure payment facility and wait while they make the payment straight from their phone. A link to reactivate the call if necessary. This extra task has only taken another couple of minutes. If the mere thought of calling your company fills your customers with dread because they know it’s going to take ages, it’s time to do something about it, before they find a competitor who’s more efficient. Time is the one commodity that seems to be shrinking rapidly for everyone, as we try to cram more and more into each day. If you can reduce the time your customers spend doing routine tasks, not only will they be grateful and impressed, but they’ll be more likely to stay loyal. Once they can trust you to serve them quickly and efficiently, they won’t want to give that up, even if they might be able to save a couple of dollars elsewhere. And what’s more – it reduces your costs, and frees your team up from repetitive routine calls, so they can devote their time and energy to more complex customer calls. A win-win for everyone. If you’d like to find out more about the Premier Contact Point Mobility Module, call us on 1300 85 84 83 or email us. 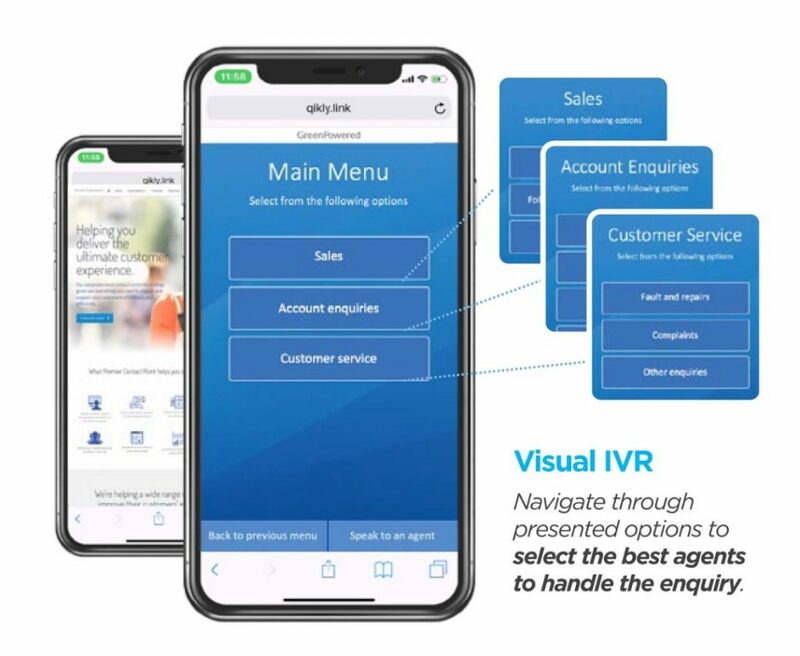 We’ll give you a behind-the-scenes peek, so you can see how easy it is to consistently deliver an impressive mobile customer experience that significantly cuts time and saves money. Interested in finding out more about saving your customers time?